When it comes to abiding by land use and zoning laws, many religious assemblies and institutions face hurdles. Depending on the circumstances, meeting a city’s parking requirements can be a big one. The City of Chicago’s parking requirements, for example, seemed to be the only hurdle that prevented the Immanuel Baptist Church from purchasing a property and operating it as a church. The property consisted of a worship center and classrooms, which the Church had leased and used since 2011. 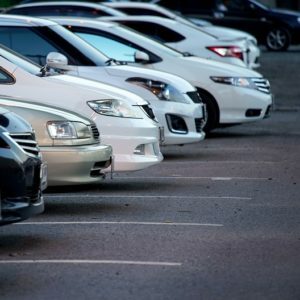 But in 2016, after the Church decided to purchase the property, its lender requested a determination regarding the City’s legal requirements for parking. Because the Church was a “religious assembly,” it was required to have “one parking space per eight seats in the auditorium.” Although street parking was widely available, the property did not offer any on-site parking spaces for its members and attendees. Accordingly, the Church sought several avenues to solve this problem, like leasing a vacant lot to provide off-street parking. Unfortunately, when the Church’s attempts turned unsuccessful, the lender did not provide the financing needed to purchase the property. Because the City’s parking requirements prevented the Church from continuing its operation, it launched a federal lawsuit against the City of Chicago, asserting an as-applied RLUIPA claim in its amended complaint. Specifically, the Church alleged that the City’s parking requirements, governed by the Chicago Zoning Ordinance, were being applied in a manner that violates the equal terms provision. Generally speaking, when a religious assembly believes that it is being treated worse than secular institutions, it is not necessary to demonstrate unequal treatment in all respects. Rather, it is sufficient to show that another secular institution is similarly situated in all relevantrespects. The Church asserted that the Rudy Lozano Branch of the Chicago Public Library (the “Library”) was a similarly situated nonreligious assembly that was being treated more favorably than the Church when it came to parking requirements. The Library was a few blocks away from the Church and is approximately 18,000 square feet. The Library also had two meeting rooms which allowed groups of 60 and 20 persons to assemble, as well as general seating capacity for 150 patrons. Under the City’s ordinance, the Library was required to have 14 off-street parking spaces. It turned out, however, that the Library had none. Before any discovery of evidence took place, the City filed a motion to dismiss the complaint and argued that the Church failed to allege facts sufficient to state a claim under RLUIPA.Specifically, the City argued that because the Library is not similarly situated to the Church in all relevant respects, the Church’s claim must be dismissed. On September 26, 2018, the Court rejected the City’s argument and denied its motion to dismiss. Citing a Seventh Circuit decision, the Court found that both the Church and the Library generate “groups of people coming and going at the same time.” The Church pointed out that the Library’s meeting rooms allowed up to 60 people to assemble, and that the Library itself held several weekly events. Thus, it was argued that the City provided the Library with ample exceptions to the parking requirements, by allowing it to have no off-street parking spaces, but refused to do the same for the Church. The Court ultimately found that, according to the factual allegations in the Church’s amended complaint, it is plausible that the Church and Library’s respective parking needs are the same, and that the City treated the Library more favorably than the Church. It is important to note that simply pointing out comparators to the court is not enough. Although certain factual allegations in support of an equal terms claim could be sufficient to survive a motion to dismiss, as was found in Immanuel Baptist Church v. City of Chicago, moving forward in the litigation process requires a lot more than simply drafting a plausible complaint. If you are in the process of purchasing or leasing a property to use as a place of worship, feel free to reach out to the experts in RLUIPA and religious land use at Dalton & Tomich PLC. The Religious Land Use and Institutionalized Persons Act (RLUIPA) contains what is known as the equal terms provision. The equal terms provision prohibits any governmental entity or official from imposing or implementing a land use regulation “in a manner that treats a religious assembly or institution on less than equal terms with a nonreligious assembly or institution.” 42 U.S.C. § 2000cc(b)(1). The City of Chicago filed a motion to dismiss under Federal Rule of Civil Procedure 12(b)(6)—failure to state a claim upon which relief can be granted.